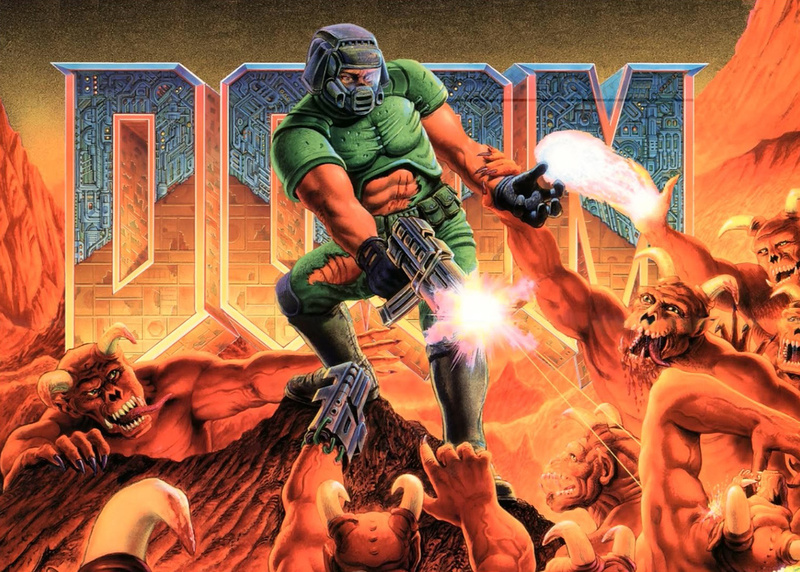 For me one of the classic games of all time was Doom. As a fun one off game you can put your players through the Doom maps using 3Deep as your system of choice. The best game is probably had by playing it collaboratively. The main enemy on the first map are the zombie marines, shotgun wielding armoured marines and imps, those firgeball throwing humanoids. The objective being to run around the map, killing everything, find the secret locations and then the exit. This is classic first person shooter action. Playing it as a one off RPG is a fun session. Players respawn when killed so no one is going to have to sit out should the very first encounter go badly. As a GM it is an interesting challenge. Can you bring this setting alive? Can you describe the scenes with the flickering lighting, barrels of toxic waste and lumbering undead to bring the setting to life? I used this as one of the play test scenarios for the original 3Deep rules and ran is as a dream sequence. The characters in a regular modern day setting went to sleep and all woke up inside the Doom game world. At first they did not recognise it and feared death but after one of them found a chainsaw the players started to make their own Doom jokes and references. After the first character respawned they realised what was going on. They wrongly assumed that they would have to complete the game to escape but actually I wanted to do a total party kill (TPK). Once they were all dead in the same encounter the characters all woke up in their own beds, unharmed but in a cold sweat. To play this setting you are going to need to add a few bits of equipment. The classic chainsaw, shot guns, machine guns right up the the BFG9000 if you get that far. There are several sets of armour including the standard armour, improved body armour and the helmet. The standard should be Medium Rigid and the improved is Heavy Rigid. The helmet is medium Rigid for the head only. The body armour covers only the chest and abdomen. Shotguns would be a 2d6 piecing firearm. Up this to 3d6 for a double barrelled version. The default pistol would be 1d6 or if you are feeling generous a 2d6 piecing attack. The 1d6 version eats up ammunition much faster. In practice more than twice the rate as a good 2d6 roll can take out an enemy in a single hit but this is much more unlikely with a 1d6 weapon. The chaingun would be 2d6 per target when strafing or 3d6 when focused on a single target. The dagger is a 1d6 slashing weapon and the all important chainsaw would be 2d6 slashing. You can use standard zombies from the core rules for the marines but give the black armoured sergeants some body armour. The imps get to use their mana for producing fireballs. I would pay the 4pts for 1d6 of damage. Any special damage from rolling a 6 would be fire. They also have claws for a natural attack of 1d6 slashing damage. Medipaks will give a +1 to first aid rolls and will heal 4 points of damage to any one stat. The full blown first aid kits are more powerful and five the same +1 to first aid rolls but restore up to 12 points to any one stat. If you get taken out by an imp or zombie then I think you can assume you will be killed. At that point you respawn back at the starting point with the original pistol, knife and no armour. There are a few environmental hazards. These are rivers and pools of toxic waste, rivers and pools of lava and exploding barrels. Firstly the protective suits do prevent damage from toxic waste. They have a finite life time and the way I played it was to have the suits 10 points of v.strength (vehicular strength) . Each second the character was exposed did 1d6 of damage but only the special damage is applied to the v.strength. Once it reached zero the suit was effectively destroyed, eaten through by the toxic waste. The invulnerability power up can be treated the same way. Or simply make the character invulnerable for a minute. That is easy to track with 1 second combat rounds! If you click the map above you can get all the maps from all the versions of the game. If you want to have a go then you can pick up the 3Deep rulebook for $9.99 as either print or PDF or both for $14.99 from RPGnow. Click here to more info or to buy.